Globally, infectious disease related problems are more severe than we know. The existing synthetic antibiotics will never be able to protect mankind anymore after bacteria gain immunity to the antibiotics. There has been a dog eat dog competition between synthesized antibiotics and antibiotics resistant bacteria. U.S. Department of Health and Human Services calls this competition as “Arms race with bacteria” and says existing synthetic antibiotics are apparently defeating in this war. At this moment, U.S government is looking for ‘Non-Traditional Therapeutics’ which functions quite differently, and running supportive program to accelerate the development. iNtRON Biotechnology is developing whole new antibiotics unlike existing synthetic antibiotics. Our Endolysin technology based new drug is a “Non-Traditional Therapeutics” and “First-in-class” new drug that operates in a totally different mechanism. A medicine for MRSA (Methicillin-resistant Staphylococcus aureus) and antibiotics for gram-negative bacteria are under development. Besides, we are accelerating development of drug for anthrax bacillus and antifungal, and new drug for VRE (Vancomycin-resistant enterococci). iNtRON Biotechnology will build up a sustainable Global R&D group founded on not the only one successful development of new drug substance but with the success in developing the entire platform technology. We will keep focusing on expanding our capabilities in global R&D, and developing world-class new medicines through the cooperation with global big pharma. 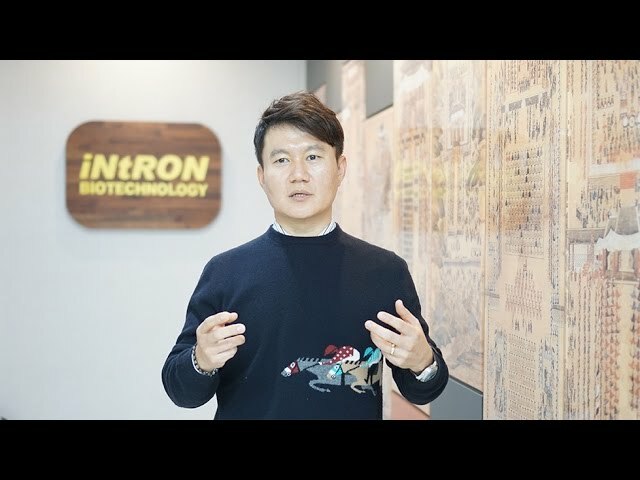 iNtRON Biotechnology is targeting the development of new medicine for human infectious disease and platform technology based “First-in-class” new drug. While we are aiming at the globalization of our products, we think “Platform Research” should be preceded to acquire “Platform Technology” and will continue its investment and show the results.